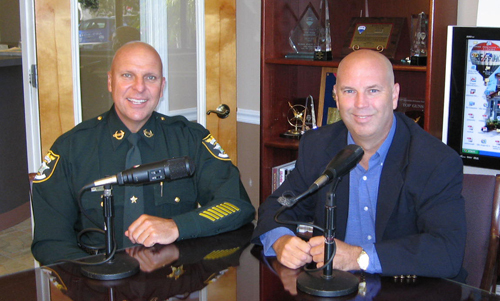 We interviewed Lee County Florida Sheriff Mike Scott on this week’s show. Sheriff Scott answered tough questions on Arizona’s controversial immigration law, how his officers conduct traffic stops and how they handle possible illigal immigrants. We also asked Sheriff Scott his thoughts on terrorism, border control, patrolling SW Floridas’s waterways, the manatee, red light cameras, school resource officers, working with ICE, and recent reports his office may need to cut 5% of his annual budget. Sheriff Scott answered every question asked by Brett Ellis. The show is broken up into 3 segments, and you can find all 3 here along with descriptions of each segment. Future of Real Estate Video with Lee County Sheriff Mike Scott. Posted in Southwest Florida Real Estate.Tagged Arizona immigration law, border patrol, Brett Ellis, Future of Real Estate, Lee County Florida Sheriff Mike Scott. Didn’t quite finish the whole interview, but very very interesting insights. Even from a guy from Nevada… is learning. I may not agree with everything he says, but I sense his honesty and dedication to his job.